Chaos Rings is a turn-based RPG for the iOS platform that brings impressive art design, an intriguing story and console style gameplay to the iPhone and iPad. 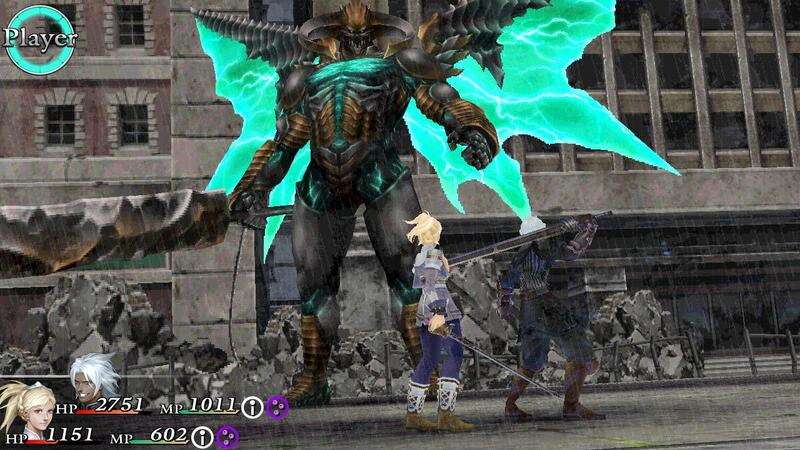 Developed by creators of the Wild Arms series Media.Vision and with art direction from Yusuke Naora who worked on RPG classics Final Fantasy VII and VIII, Chaos Rings has a distinct PlayStation era feel. The pre-rendered backgrounds look beautiful and highly detailed and the character designs are interesting and varied. 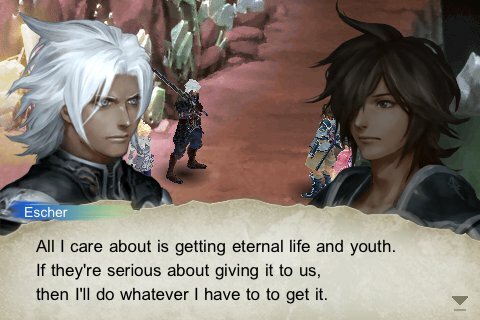 Chaos Rings is one of the most visually pleasing RPGs on the iOS platform and a great game in it’s own right. The story of Chaos Rings revolves around four different pairs of characters that are brought together in the Ark Arena and forced to fight for their lives, with the victors gaining immortality. The game lets you chose between four different scenarios adding re-play value as each one plays out differently. Each pair must travel through various dungeons and face bosses in order to learn more about the Ark Arena, the mysterious Agent who appears to be running the Arena and the truth about why they have been summoned there. Each pair have an interesting relationship dynamic, from being husband and wife to wanting to get revenge for murder, but over the course of the game they develop further and you learn the truth about their pasts. The story and the characters that fill it are both interesting and engaging. Chaos Rings brings a slight switch up to the tradition turn-based battles RPG players are familiar with. In combat each couple can choose to attack individually or combine together to perform a more powerful paired attack. Using pair attacks might cause more damage, but then the enemies have a chance to fight back and attack both party members in a single strike. A Break Meter is also displayed showing who has the upper hand in battle so balancing between using solo and pair attacks is crucial to winning tough boss battles. After defeating monsters you can earn Gene Plates that can be equipped to your characters to allow them to perform magic attacks in combat. 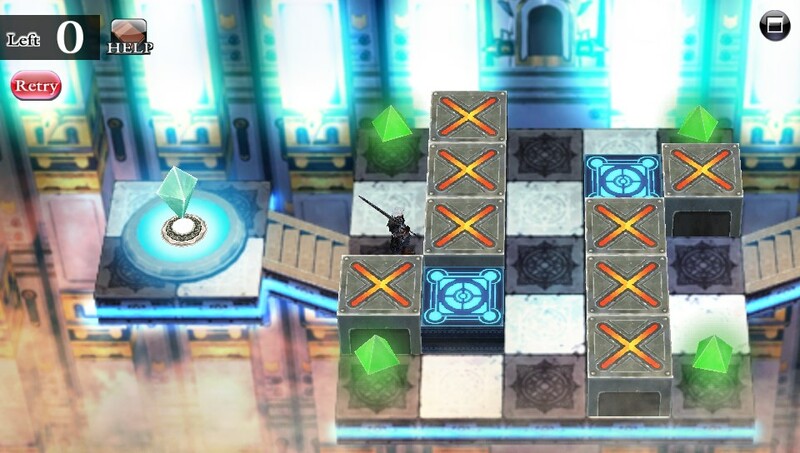 Most of the gameplay revolves around dungeon crawling, but a few puzzle room challenges that require you to move blocks and teleport your character around obstacles are implemented to provide a bit of variety. Like the visuals, the soundtrack is also impressive for the hardware. 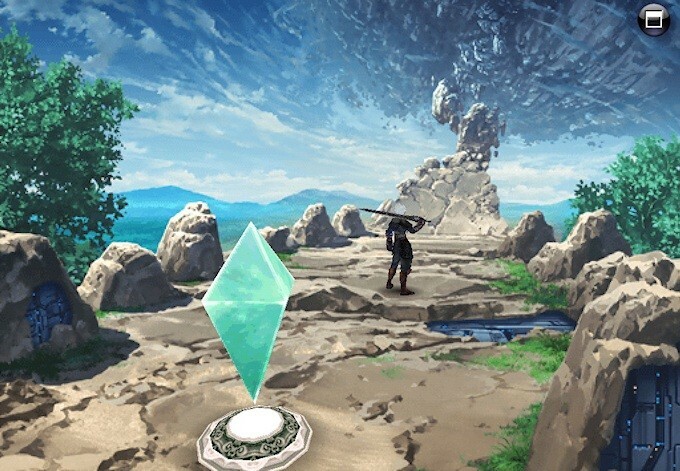 The music is mostly lively and up-tempo, such as the majestic “Theme of Chaos Rings”. While other tracks change it up like the eerie and mysterious “No Place Like Home”. Most tunes have multiple parts making the compositions feel varied and unique. This is a quality soundtrack. 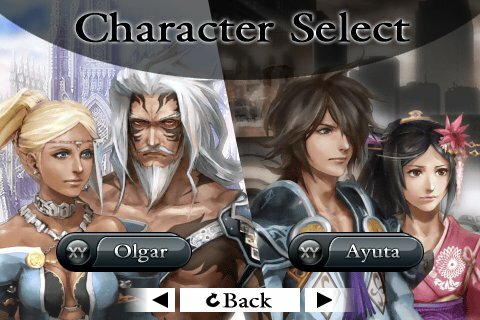 Chaos Rings is an impressive RPG designed for mobile platforms featuring great combat and art style. If you wish to play a quality RPG on your iPhone or iPad then you should play Chaos Rings.